Your entry form is in, but don’t lace up your running shoes without reading this. You’re itching to get started on your 10K training plan – the race date is in the calendar and you know exactly how many weeks you’ve got left. But wait a second before you dash off. Set yourself up with a solid, progressive plan and you’ll get to the start line happier, healthier, and more likely to have a positive experience. Follow a structured 10K training programme. 10K might not be as long as a half-marathon, but it still needs respect. If you follow a good training programme, you’ll progress at the proper rate with enough rest and recovery. Choose a 10K training plan that suits your lifestyle. Be realistic about how much time you can dedicate to training. Don’t do too little, but don’t do too much either. Stick with your chosen plan and trust that it will get you fit to tackle a 10K. The best 10K training plans will gradually increase your mileage in a progressive fashion, ramping it up before giving up a deload week. This builds base fitness, strengthens muscles, and expands your cardiovascular ability without overloading the body. Stick to your plan and you’ll get to the start line as fit as possible. 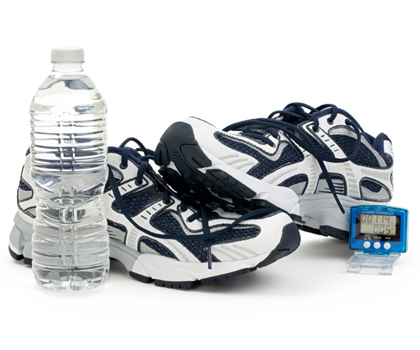 Have you got the right running kit? What running kit do you really need for a 10K race? A good pair of running shoes and at least one well-fitting sportsbra are a must. But you’ll have a more enjoyable time of training and racing if you add a few items to your wardrobe. A long-sleeved training top, and a pair of tights or capris will help you get through colder training sessions. Gloves and a hat are useful on chillier days. Comfortable shorts and a vest or t-shirt will be useful for race day. Comfortable socks, designed for running, will help you avoid blisters (because there’s nothing more frustrating than needing to rest because of a bad blister!) And if your budget can stretch to a second sports bra, do it. Start a training diary – now. Even if your first training run is hard going, you’ll want to look back and see how far you progressed. Get a paper diary or use an online version, and keep notes of your 10K training sessions. Note down distance, speed, routes, and how you felt. Keep a note of your sleep and energy levels, and track which foods make you feel most energised. It’s all useful data which will help future race training. Keep notes now, and you’ll be able to track improvements. Your training diary is a great motivational tool! Know how to fuel your body. Before you head out on a training run, think about how you will eat to help your body run and recover. You need to fuel your body properly for a 10K. Make sure you are taking in enough calories for the extra activity (a diet deficient in calories or key nutrients will leave you feeling pretty rubbish). Your everyday diet should be balanced, with enough protein, carbohydrates, and healthy fats. Don’t skip meals or cut anything out unless you have a medical reason. Food is your body’s best fuel for this 10K journey. You’re keen to get going, we can tell! But don’t forget that rest and recovery are key elements of a good 10K training plan. Recovery helps your body adapt to all the training. Take rest days, stretch regularly and do some foam rolling (or get sports massage). And remember the best recovery technique of all: enough good quality sleep.